The pilot light is out on my fireplace! Do I re-light it? If so, how? If your pilot light is out on your fireplace and you or looking to try and re-light it yourself, first refer to the fireplace owner's manual to troubleshoot. If you do not have an owner's manual, you may call the manufacturer to see if they will provide one. Knowing the make & model of your fireplace will be required. Many fireplaces also have a sticker or metal card inside the louver on the bottom of the fireplace (there should be a door that you can open up to look inside the fireplace on the bottom) that gives the make & model information as well as instructions on how to light the pilot. Often, there is a reason your pilot light has gone out and we need to service the fireplace to do a safety-check on it. Once you have tried to light your pilot going through the above steps and have no success, call us at 303-655-9595 to set up a service call. We can show you how to light your pilot in the service call. What is involved in a service call? Gas fireplaces should be checked annually for gas leaks, carbon monoxide leaks and proper ventilation for safety & efficiency. A service call includes a 15-point inspection that includes (but is not limited to) cleaning the glass front and doors, cleaning & inspecting the pilot & burner assemblies, cleaning & inspecting the venting and the blower system, test-burning the fireplace and doing a carbon-monoxide leak test + natural gas leak test to ensure no leaks in your fireplace. Parts are an additional cost, but usually we have the part on our trucks and will check with you before replacing any part. If you need instruction on how to re-light your pilot, don't hesitate to ask the service technician to show you while he is servicing your fireplace. Can you certify my gas fireplace for the sale or inspection of my home? Yes, we can certify your fireplace for the sale and/or inspection of your home. We work with realtors and contractors all over the metro area to ensure the certification of your fireplace to pass inspection on your home. We understand the stress that can accompany selling or purchasing a home. Our mission is to alleviate the stress by taking care of your gas fireplace so you can move forward with closing! Is it efficient for me to run my gas fireplace? The answer is Yes! It's very efficient for you to run your gas fireplace. A typical gas fireplace uses much less gas than a furnace and heats the room you occupy rather than turning up your thermostat which causes the furnace to heat up the entire house. This, in turn, will save you money on your natural gas bill. What do you charge for a service call on my gas fireplace? A service call in most parts of the immediate Denver metro areas is $165 (surrounding areas may be a higher service call charge)--additional fireplaces serviced on the same visit as the 1st fireplace are $99.00 each (so $165.00 + $99.00 each additional). Parts are extra. Do you work weekends and if so, is there a higher cost? We do work Saturdays also. The charge is $25 extra for a service call on Saturdays--so if the charge is usually $165, it will be $190 on Saturday. The charge for additional fireplaces serviced on the same visit as the first one on a Saturday is the same--$99.00. How do you compare with other companys' prices? Some companies say they do not charge a service call unless a part is replaced. There is no such thing as a free service call! Either you get charged up front for service or the company adds the service call price into the price of a part you may or may not need replaced--or they charge you by the hour or 1/2 hour. Also, some companies have a trip charge which is separate from the charges for service. We do not. We do charge for a service call, but that does include a complete service call (if you are wondering what that entails, scroll up to the question, "What is involved in a service call?"). The only extra charge would be a part--if the part is large or more involved to replace, additional labor may be charged to install it, but the technician will go over the details with you before replacing anything. We do not replace parts unless there is a definite need to do so. Often times, a customer is almost positive he/she needs a part replaced and the fireplace only needed to be cleaned out or adjusted. Our company's reputation is built on honesty and you can be assured we won't unnecessarily replace a part and incur a charge to you for that unneeded part. How often should I have my gas fireplace serviced? We recommend having your gas fireplace serviced annually as most manufacturers recommend the same. If you use your gas fireplace frequently, you definitely should have it serviced annually, even if nothing is wrong--as a preventative maintenance and to ensure there are not safety issues such as gas leaks. In addition, your fireplace does get dusty and dirty, even if you don't use it all that much. Therefore, having it serviced on a regular annual basis will hep it to run more efficiently. 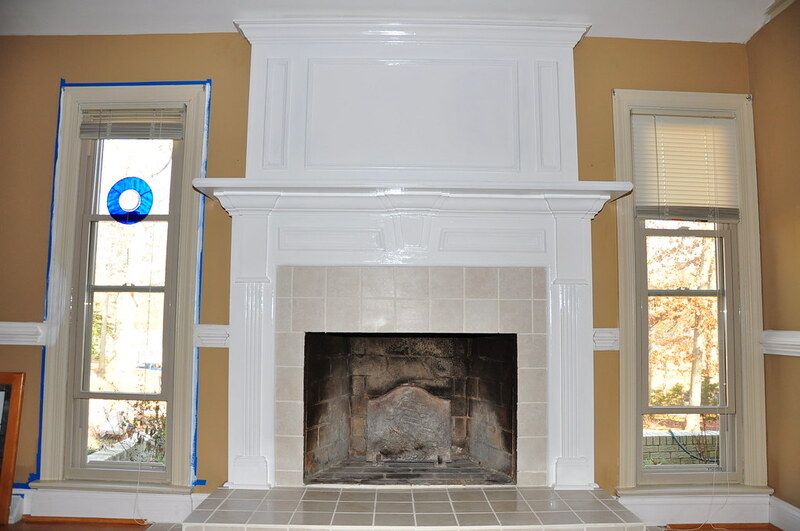 Do you install gas fireplaces? Yes! In the spring, summer and early fall, we install gas fireplaces. We can come give you an estimate, which in the immediate Denver Metro area, is free! We will start giving estimates in February 2019. Give us a call then at 303-655-9595! Do you clean chimneys and repair wood fireplaces? No, we do not clean chimneys and generally do not repair wood fireplaces. You will need to call a chimney sweep and a company we can refer you to is Benjamin Gray Cleaning Services at 303-323-0898. Do you repair pellet stoves? No, we do not repair pellet stoves. Do you warranty your work? If so, how long? Yes, we warranty our labor for 30 days from the date of service. If, after we have serviced your gas fireplace, you are still having problems, call us within 30 days and we will come out for free. Parts are warrantied according to the manufacturer. Most manufacturers warranty their parts for about one year from purchase, but they do vary a bit so check with your manufacturer if you are unsure--or check with us when we replace the part for you. Help! I think my fireplace is leaking gas and I can't locate my valve to turn off the gas! What do I do? If you can locate your control valve (usually at the bottom of the fireplace), you can shut off the gas at the valve. If you aren't able to locate your valve, please immediately call Xcel Energy at 1-800-895-2999 and they will come shut off your gas at the valve for free until we can get to you and repair it. Don't mess with gas! If you even think you have a leak and are unable to reach us, but cannot find your valve, call Xcel to shut it off for you! Our technicians work all day and usually six days a week (Monday - Saturday) year round. Do the technicians arrive at exact times or do you use time windows? The technicians arrive in a 2-hour window. Denver is a bustling, growing city, which is great for our economy, but the ever growing traffic makes getting to homes at exact times almost impossible these days. With some service calls lasting longer than others, traffic issues and weather issues, we must provide you with a 2-hour window to allow us to arrive at your home or job site. However, if you request for us to call you ahead or on our way, just let the scheduler know and the technician will call you on his/her way to your home/job site. Also, to be clear, if you choose a time window of 8:00 - 10:00 a.m., this means the technician can arrive ANYTIME between 8:00 and 10:00. This does NOT mean the technician will arrive exactly at 8:00. This does also not mean the technician will arrive at 8:00 and leave at 10:00. Most service calls don't last more than one hour, but the time window is 2 hours meaning technician can arrive anytime in that window. PLEASE BE HOME OR ARRANGE TO HAVE SOMEONE AT YOUR HOME OR JOBSITE FOR TECHNICIAN TO ARRIVE IN THE 2-HOUR WINDOW YOU HAVE SELECTED. Do you have a policy about cancellations? Yes, we do! As stated before, Denver is an ever-growing metropolitan city and traffic is getting heavier and heavier these days--all day long--not just what most consider "work traffic" peak times. Due to this reason as well as others we cannot control, we need to arrive in a 2-hour window. Again, please be at home or arrange to have someone at home (or job site) during your appointment time window unless other arrangements have been made for technician to arrive without someone to meet him/her there. We provide you the courtesy of a reminder call the day before your job (to remind you of the date and time window of your job), so if no one is home on the day of your appointment when technician arrives and you haven't called our office in advance to re-schedule, we will now charge a trip charge to come back out later--which we will require you to pre-pay before we come--unless extenuating circumstances apply that caused you to not be able to call us when you couldn't keep your first scheduled appointment. Thank you for understanding. In turn, if WE have to cancel a job with you due to illness or other unforeseen circumstances at the last-minute (which is rare, but once in a while, it happens), we usually provide a discount to you for having to re-schedule your job to a later date & time window. A major snowstorm or other events like weather than no one can control, we reserve the right to not discount you if we need to re-schedule. Where is your store located (do you have a show room?) Do you sell parts? We do not have a store front. We are a mobile service company. We do service gas fireplaces and repair them, but we don't own a store nor do we sell parts. Do you clean or service/repair BBQ grills?